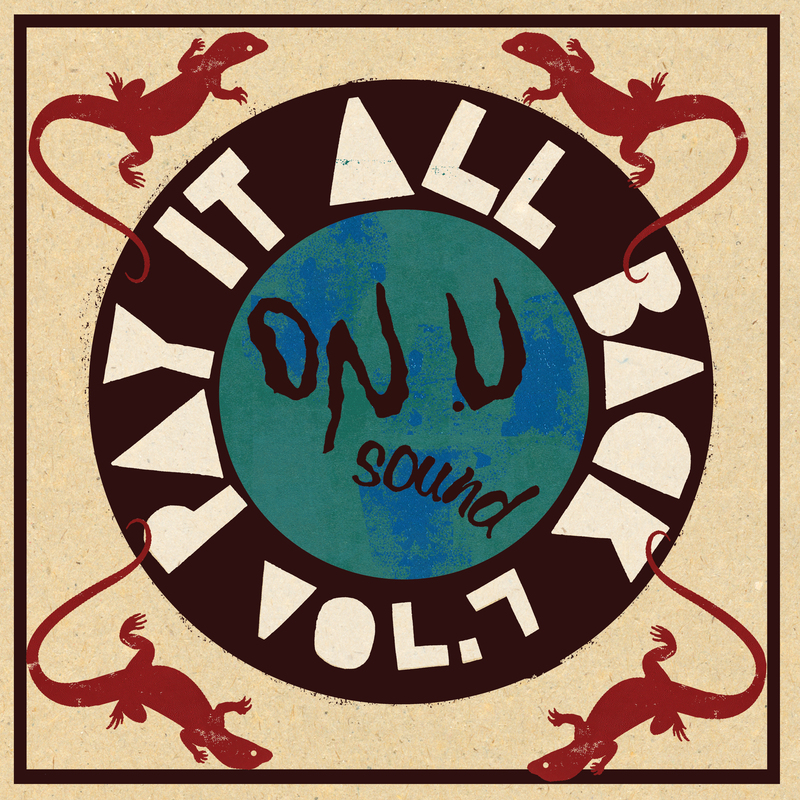 On-U Sound are very proud to present the seventh volume in the legendary Pay It All Back series, the long-awaited latest instalment from the On-U sampler series that first emerged in 1984. Pay It All Back Volume 7 is an 18 track showcase of recent and unheard productions by On-U chief Adrian Sherwood including brand new tracks by Lee ‘Scratch’ Perry, Mark Stewart, African Head Charge, Roots Manuva, Coldcut, Horace Andy, Ghetto Priest and more. Pre-order now for delivery on release date (29th March). Beautifully packaged double vinyl edition on colour printed kraft board sleeve with 8 page booklet containing a full On-U catalogue, or CD edition with 28 page booklet. Both physical editions contain an exclusive track not on the digital version.